Today I made these beads out of polymer clay. 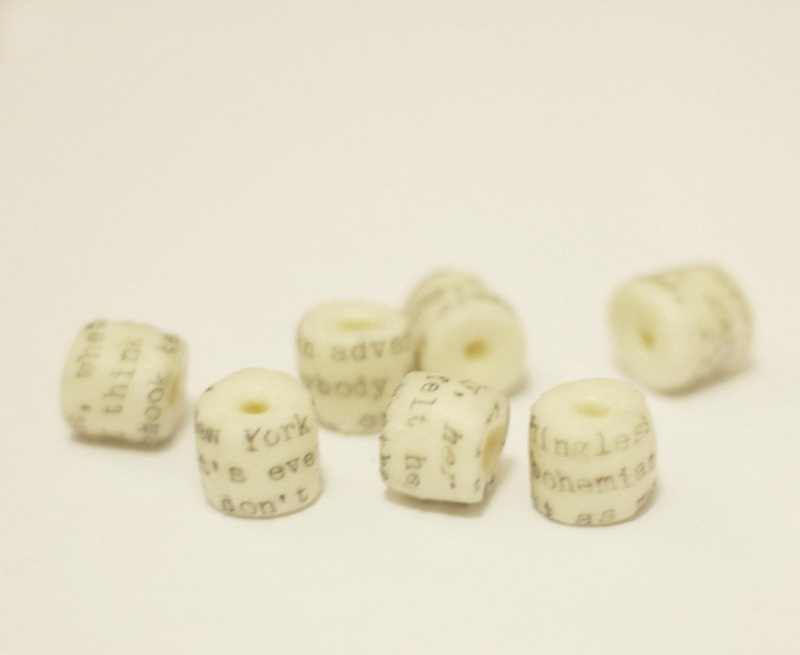 I used an antique typewriter to type onto white silk, cut the silk into strips and glued it to the beads. I then coated the beads with a clear gloss varnish. Thank you so much Saskia! I'm so glad you like my blog!